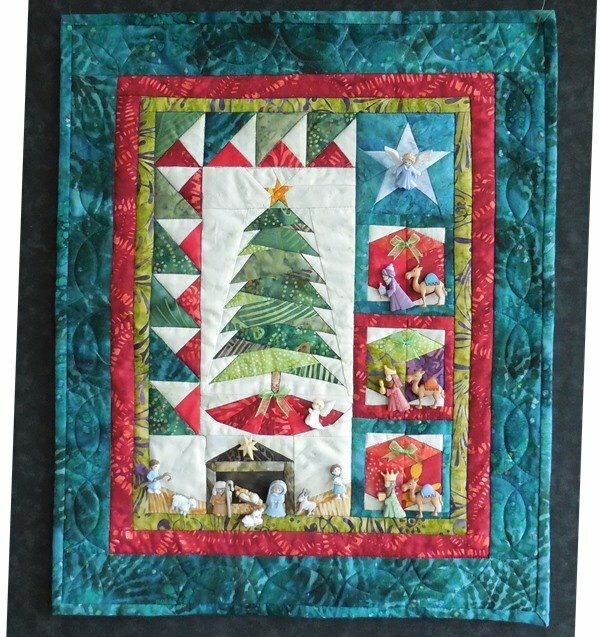 Trim the Tree II Nativity Kit is tissue paper foundation or paper piecing measuring 15½" by 18⅝". The original pattern has a train. I designed an additional pattern to replace the train with a creché using one set of nativity buttons included in this kit. This pattern uses your quilting scrap fabric. Fabric is not included.